No, this won’t be a blog in Spanish, though I’ve got the skills for it. Maybe bilingual though. And we’ve got both home and away jerseys. 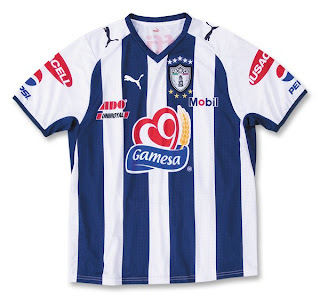 I ordered my sample of the Tuzos’ home shirt a few days ago so stay tuned for my official review, when I wear the multi-sponsored jersey around the hallowed halls of 365 Incorporated. Meanwhile, feel free to buy your own. WARNING: do not read below unless you speak Spanish or are looking to learn some. Y tenemos ambas camisetas de local y visitante. 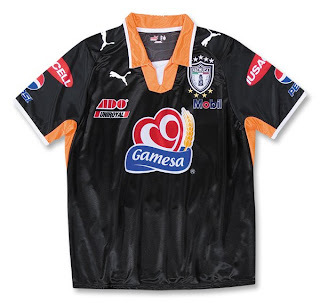 Ya ordené un jersey de los Tuzos para darle mi critica oficial, así que estén al tanto a este sitio.